The F.E.2b was powered by a Beardmore engine, initially of 120 hp but later F.E.2bs used the 160 hp (119 kW) model. A total of 1,939 F.E.2b were built, only a few of them at the Royal Aircraft Factory, as most construction was by private British manufacturers such as G & J Weir, Boulton & Paul Ltd and Ransomes, Sims & Jefferies. Early in the F.E.2b's career, a second Lewis gun was added in front of the pilot's cockpit, on a high telescopic mounting so that the pilot could fire forward, over his observer's head. In practice, this gun was appropriated by the observers, especially when they discovered that by climbing onto the rim of their cockpits they could fire backwards over the top wing – to some extent overcoming the notorious deficiency of pusher types in rear defence, although even this failed to cover a very large blind spot under the tail. The observer's perch was a precarious one, especially when firing the "rear gun", and he was liable to be thrown out of his cockpit, although his view was excellent in all directions except directly to the rear. 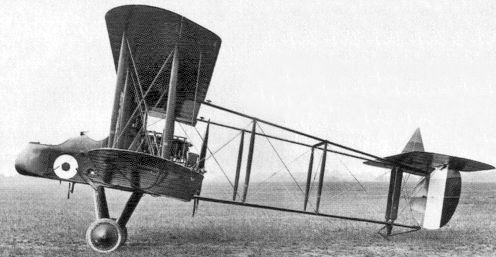 The F.E.2 could also carry an external bomb load, and was routinely fitted with a standard air-photography camera.